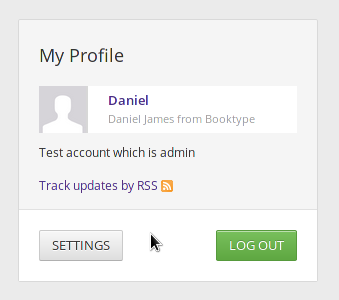 Your Dashboard helps you manage your books and groups, and customise your Booktype profile. 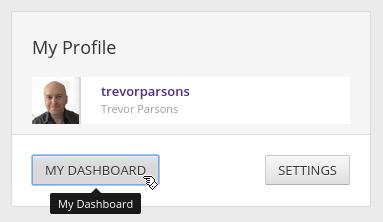 To get to it, click the My Dashboard button in the My Profile box in the Home view of Booktype. Or click your own username on the People view. 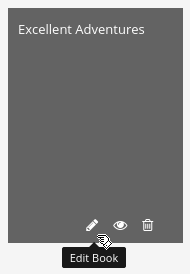 You can also reach your dashboard from anywhere in Booktype by clicking on the three-line menu icon in the top-left corner and selecting My Dashboard. Your dashboard contains sections for My Profile, My Books, My Groups, and My Recent Activity. 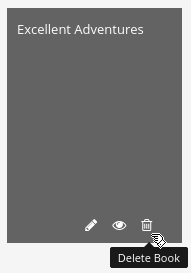 As well as showing your user name, full name, and photo (if you have a Gravatar or if you've uploaded an image), the My Profile section includes a Track updates by RSS link, with an orange feed icon next to it. To edit your profile, click the Settings button. In the User settings box, you can edit your Email and Full name if either of those need to be corrected. Below your full name is a text box where you can type in a description About yourself. If a Gravatar image is available for the email address that was used to create your Booktype account, that will be used as your Profile image. Alternatively, you can click the Choose file button to upload a profile image from your computer, if you wish. 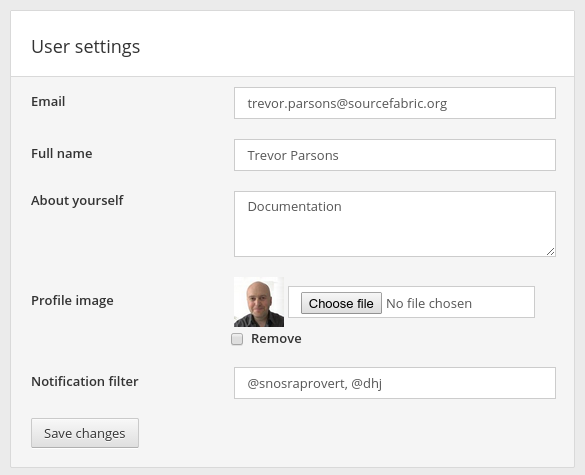 There is also a field for the Notification filter, which configures the email notifications you will receive. For example, entering a Booktype user name prefixed with the @ symbol into this field will mean that all messages from that user will be forwarded to your account email address. Multiple @usernames should be separated with a comma. Once you have made the changes you want, click the Save changes button. 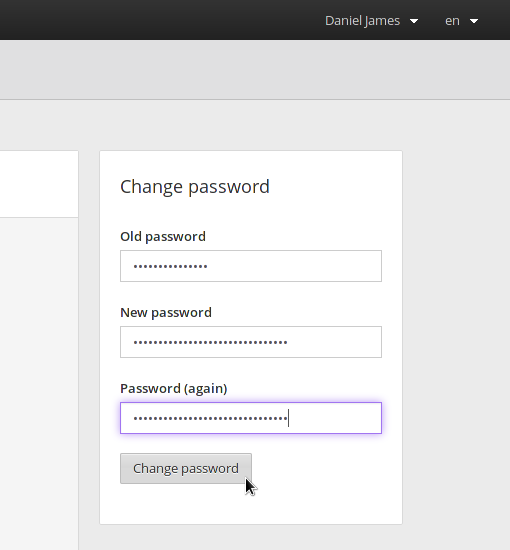 Over on the right side of the window you can change your Booktype account password by entering the Old Password once and the New Password twice. Then click the Change password button. 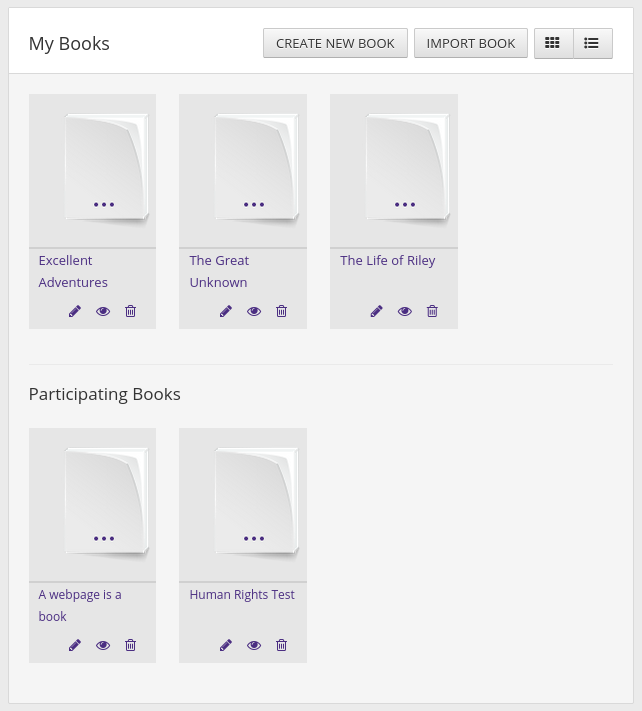 The My Books section lists books you have created. If you are contributing to any books which are owned by other users, these will also be listed in this section, under the subheading Participating Books. At the bottom of each book icon, there are symbols which are links to Edit Book, View Book Info, and Delete Book. 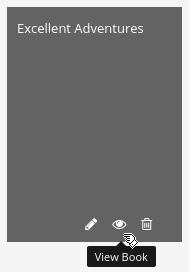 (The Delete Book icon is only visible for books that you have created, unless you are an administrator). Read about these functions in the chapters The Edit Interface and Deleting a Book. If you click anywhere else on the book icon, including on its title, an overview of Book Details will be displayed. The My Groups section lists any groups which you have created. If you have joined any groups owned by other users, these will be listed under the subheading Participating Groups. You can click through to explore the groups listed, or click the CREATE NEW GROUP button to make a new group. A DELETE GROUP button is displayed next to groups which you have created. Read all about groups in the chapters About Groups, Creating a Group, Joining a Group and Adding a Book to a Group. 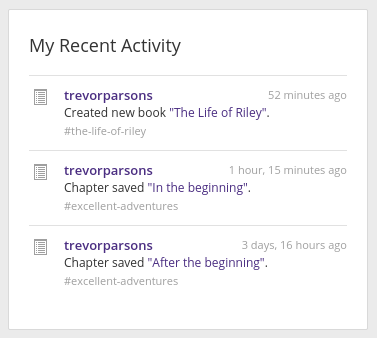 The My Recent Activity section lists the last few things you have done on Booktype, such as creating a book, saving a chapter or joining a group.